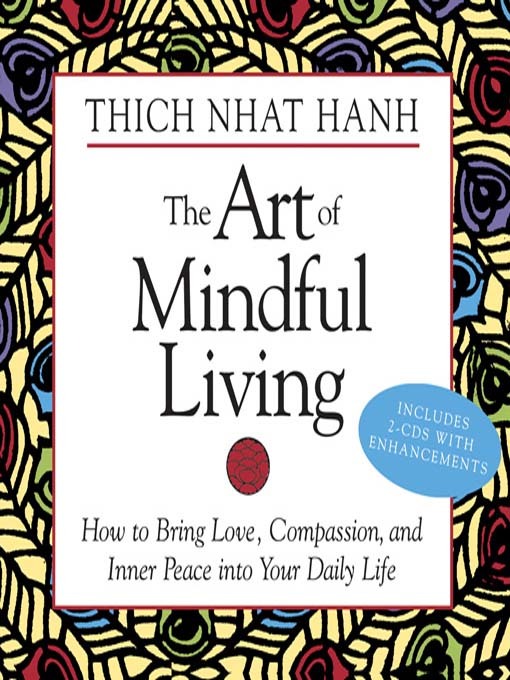 Thich Nhat Hanh is a Nobel Peace Prize nominee, a Zen meditation master, scholar, poet, and peace activist. He has has written many books that are very popular at my library, so when I saw this one offered through my library's digital media catalog as an audiobook, I thought I'd download it and see what all the fuss was about. I didn't realize that the book is actually a collection of recordings that were made at a meditation retreat, and feature the author's own voice. This was such a treat! 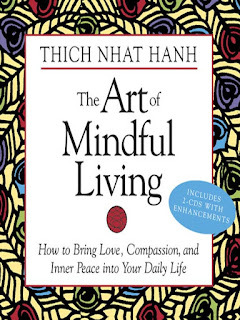 Hanh takes the teachings from his Vietnamese tradition and does his best to apply them to those of us who have hectic lives but would like to make sure we are actually present as we live them. He is often funny, never condescending, and is of course respectful of the various religious and cultural traditions of his audience. There is a lot to reflect on here, and I have the feeling that this is a recording I'll be returning to from time to time to help me maintain my focus on the things that are the most important to me. It's easy to get sidetracked by the many demands in one's life, and Hanh's teachings made a whole lot of sense to me, for the most part. Too often I find myself rushing to get something taken care of around the house, for example, only to realize that my husband or one of my kids has been talking to me, and I'm barely aware of what they've been saying. It doesn't take long to take a few deep breaths and focus on the situation at hand - and to enjoy and appreciate what is going on. It makes no sense to be so intent on the deadlines that are coming up that we are barely aware of what we are doing now. One thing he says that particularly resonated with me was something like: "My actions are my only belongings. My actions are the ground on which I stand. I must live with the consequences of my actions." That one made for an interesting conversation with my children. This is a great recording that is sure to make listeners pause and reflect - and to come away with a few useful things to help them stay calm, focused and present in their lives. Good stuff.